My friends are 6 different kinds of fun. And, since I’ve been slacking on my posts, I think it would be a good idea to dedicate a series of posts to putting some of our more notable shenanigans on paper, dedicating each post to a particular friend. So, this post will be dedicated my friend… “D-Chase”. I was hanging out at D’s condo, where she and her new husband lived. In fact, she had only been married for less than 2 months. I was newly single, and starting to feel a little hopeless in terms of finding someone that I might one day like to marry. My worrisome feelings combined with her coming down from her September wedding ‘high’, mixed with a couple of bottles of wine made pulling out her freshly dry cleaned wedding dress an inevitability. She was reluctant to put it on, as she felt she might have gained a little weight on her honeymoon. Of course, she hadn’t, but I was very receptive to her suggestion that I try it on instead. 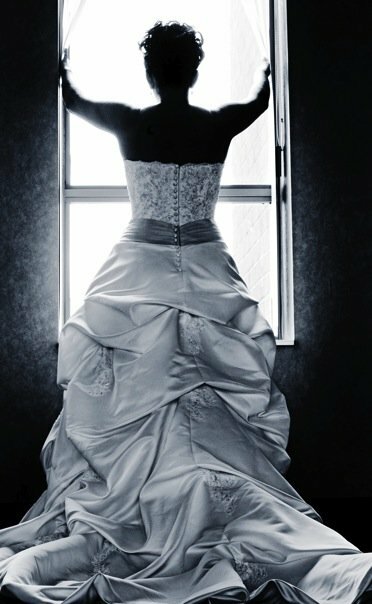 I had never tried on a wedding dress before. It didn’t fit properly (D-Chase is stacked like a champ) but I liked it. She even put the veil on me, and insisted that I was “beautiful”, as she cupped my face in her hands. She made me feel like a princess. I think that the sight of me in her dress, and our intoxication made her very nostalgic for her Fall wedding. So, she went over to the stereo, put on Elton John’s “Your Song”; her wedding song, and offered me her hand. She wrapped her arms tightly around my waist, and I wrapped mine around her neck. She led me in very romantic slow dance, as I buried my head in her shoulder. A minute or 2 into the song, her new husband entered the condo. He stood there holding a bottle of wine, looking at us as if he had just caught us doing something salacious. We briefly looked at him, only to return to our dance. He further asserted himself by insisting that the dress should be treated with more reverence, and I shouldn’t be wearing it, and that we most certainly shouldn’t be handling it in our state of inebriation. By the time he saw her wedding and engagement rings on my left hand, he had worked himself up into quite the tantrum. I think she managed to convince both her husband and I that *he* was the weird one in the situation, that he was simply overreacting and being completely irrational. She made these arguments as I sat on their couch, drinking red wine, and wearing her wedding dress. This is why we will always be friends.